ButterBoo Designs launches on Etsy.com! New developments at ButterBoo Designs! We launched a new line of flat note cards that share many of the design elements we use in our classic line, but are developed for use in a slightly more casual format. This new line is being sold exclusively at Etsy.com! Just like our rolling expansion at ButterBoo.com, the number of designs at Etsy.com will expand over time, but there are fourteen designs up so far for you to consider…so go take a look! 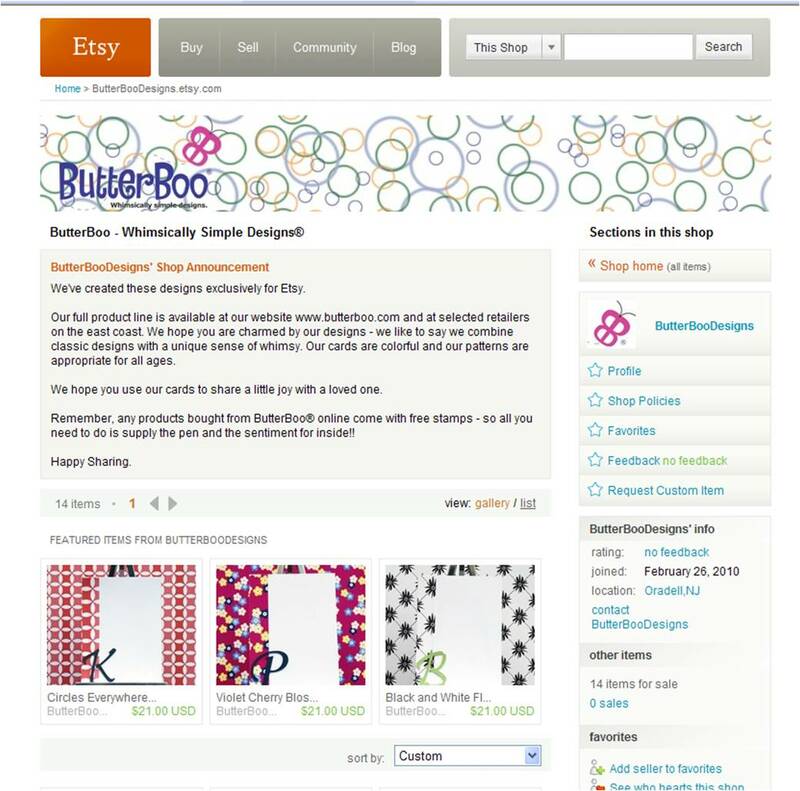 As we work to expand ButterBoo’s presence, an Etsy storefront is a logical part of our roll out. We are excited about the opportunity Etsy offers to showcase our designs in front of a new audience. Etsy has a growing presence as a venue where ‘new economy’ businesses can access GLOBAL traffic. Sales on Etsy have been growing by double-digit rates so we are thrilled to have finally gotten our storefront up and running. For those of you who have not shopped at Etsy you should really go take a look. Etsy is a global marketplace where only hand-made and vintage items are sold. Many of the goods sold on Etsy are customized so we expect that our monogrammed note cards will be well received there – but we have posted new ‘flat format’ versions of our more popular non monogram items as well. So, come take a look at our new product line and help us spread the word by sharing our news!